You may have thought you discovered all the reasons to love this alluring “Gem of the Caribbean Sea,” but we’ve got a few more to share. Here are five more reasons to love this delightful island. A favourite of many famous visitors to the island, the Weston fish market is certainly the place to grab your fresh seafood. 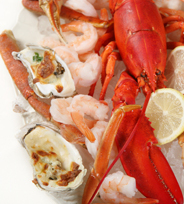 The market supplies many of our rental guests and homeowners with fresh fish for delicious seafood dishes. It is conveniently located between Holetown and Speightstown and sits strategically between the St. James fire station and the well-known John Moore’s rum shop. The market offers a wide variety of fish including Yellow Fin Tuna, Dolphin, Swordfish, Shark, Barracuda, just to name a few. It was recently renamed “The Millie Ifill Fish Market” in honour of well-known 95-year-old former fish vendor, Millicent “Millie” Ifill, who helped with its development. Who doesn’t like to stroll through a lovely garden! Barbados has been blessed with wonderful weather, and as a result the island is lush with beautiful, exotic flora. Visitors can experience this natural beauty first hand with a visit to any of the three botanical gardens, located in the central and eastern parts of the island. Flower Forest, in St. Joseph is home to a multitude of majestic palms, colourful shrubs and other tropical flowering plants and trees. Hunte’s Gardens, also in St. Joseph boasts a series of mini-gardens positioned around a lushly planted gully displaying a plethora of rare and exotic plants. The garden was designed by renowned local horticulturalist, Anthony Hunte. On the East Coast is Andromeda Botanical Gardens. Started in 1954 by another well-known local horticulturalist, Mrs. Iris Bannochie, this six-acre garden is home to many indigenous plants as well as a wide variety of imported tropical plants. A camera is certainly a must! Barbados was artist Oliver Messel’s first island love. He designed several homes in the island with Fustic House being one of his favourites. Fustic is a privately owned 10-acre estate that dates back to 1740. It is located in the North of the island and set on a coral ridge overlooking the Caribbean Sea. Messel redesigned the property in the late 1970's creating a series of indoor and outdoor living areas that flow seamlessly together. The estate provides ample space for entertaining with its large terraces, multiple shaded verandahs and sitting areas. Retaining all of the historical charm, Oliver Messel transformed Fustic into a modern-day masterpiece. In total, the estate offers 7 luxury suites and over 13,000 sq. ft. of living space arranged throughout four beautifully restored buildings, surrounded by the lush parkland of flowering plants and trees. Fustic House is currently not open for public viewing but prospective purchasers can view Fustic by appointment as the estate is currently available for purchase. Historic Bridgetown and its Garrison was officially named a World Heritage Site in July 2011. According to UNESCO (United Nations Educations, Scientific and Cultural Organisation) Historic Bridgetown and its Garrison is “an outstanding example of British colonial architecture.” The Site comprises a well-preserved town built in the 17th, 18th and 19th century and is described by UNESCO as a testament to the spread of Great Britian’s Atlantic colonial empire. The Garrison consists of numerous historic buildings while the Bridgetown showcases a different approach to colonial town-planning compared to the Spanish and Dutch colonial cities of the region which were built along a grid plan. Whether you fancy sports or the arts, we’ve got a variety of events to keep you well entertained. Pan Pun De Sand featuring the best of local and regional steel bands at Brandons Beach Spring Garden. This takes place on July 15. Bridgetown Market. A large street fair featuring local art and crafts and popular calypso music. It begins on August 3 and culminates on August 6. Venue is the Spring Garden Highway. Grand Kadooment! The culmination of the Crop Over festival! A large carnival parade featuring bands with members dressed in beautiful themed costumes. The parade begins at the Barbados National Stadium on August 6 and continues down to the Spring Garden Highway with the latest calypso music permeating the air. The excitement and energy is infectious. It is not to be missed! For those who can’t wait until June 30 the Crop Over Calvacades begin on May 12 and continue each successive Saturday until June 2, 2012. It is a series of outdoor concerts featuring performances from dancers, calypso artists and more. The Sol Rally Barbados 2012. For lovers of motor sport the Caribbean’s biggest annual motor sport event takes place on June 9 and 10 featuring up to 100 crews, one-third of them the wider Caribbean and abroad. It is the Barbados Rally Club’s premier racing event featuring lots of action and excitement! Art Exhibitions. View the new work of artist Yve Poucet at the Gallery of Caribbean Art in Speightstown. Yve paints mainly in acrylic with nature and life featuring prominently in his work. The exhibition begins on May 12 and continues until June 6. For those who want to view more local pieces, the Crop Over Visual Arts Festival begins on July 1 at the Grande Salle, Frank Collymore Hall, Barbados. The Festival features works from the best entries submitted by Barbadians (18 years and over) to the Crop Over Fine Arts and Fine Crafts competition. Horse Racing. Lots to do in the upcoming months for the horseracing enthusiast! The 1st and 2nd Race Day of the second Racing Season takes place in May, the 3rd and 4th take place in June and the 5th and 6th in July. Check http://www.barbadosturfclub.com/ for details. Mount Gay International Regatta 2012. The 27th annual Mount Gay Rum Regatta will be held over May 17 to 20. Over 30 vessels are scheduled to compete in this thrilling race with entries from Grenada, St. Vincent, Trinidad and Tobago, the UK and more! 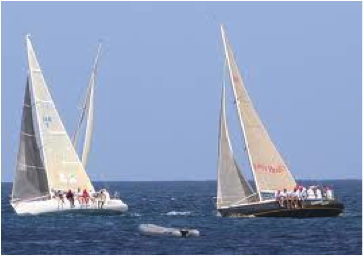 Boats enter in one of four classes – Racing Class, Cruising A, Cruising B and J24. Daily prize givings occur on the beach at The Barbados Yacht Club (BYC) at 4pm after the day’s race; overall prize giving and Regatta Party happens BYC at 6pm on the 20th. Music, food and plenty rum! It’s amazing, the breadth of offerings on this little island. We can’t resist the lure. Can you? Adapted from The Blue Bulletin, Bajan Services Ltd Villa Sales Newsletter, April 2012. Issue 2.